2) Start the engine after the LED indicator lights. 3) When starting the engine, the ignition system will turn off automatically (approximately 20 seconds). 4) If starting is not completed, please repeat above steps to press the button "ON" again. # 4.8-6.0V power regulator is suitable for many different model engines. # Ignition will remain 20 seconds automatically. Pulse transfer system, low current and low dissipation. 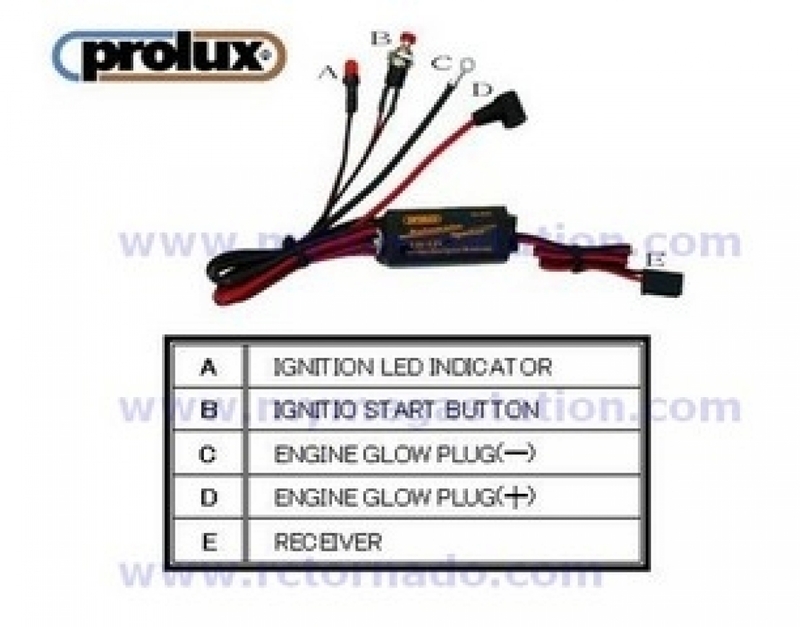 # Glow connector design is easy to fixed ignition.